In the summer of 1990, concerns were growing that Saddam Hussein, who was massing troops near the border with Kuwait, was preparing an all-out invasion. U.S. 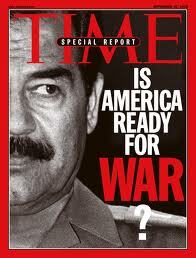 Ambassador to Iraq April Glaspie met with Saddam Hussein on July 25, 1990 to convey the United States’ position. While she did not have a demarche from Washington, she reiterated U.S. policy that border disputes should be resolved peacefully. However, her meeting did not forestall an Iraqi invasion; Saddam invaded just a few days later, on August 2. Soon thereafter and several years since the end of the Gulf War, Ambassador Glaspie was widely blamed for allowing or even encouraging an Iraqi invasion. The New York Times on September 23, 1990 quotes Glaspie as saying, “We have no opinion on the Arab-Arab conflicts, like your border disagreement with Kuwait. Some contended that such statements were interpreted by Saddam as giving free rein and that he had a de facto green light to handle his disputes with Kuwait as he saw fit. It was also argued that Saddam would not have invaded Kuwait had he been given an explicit warning that such an invasion would be met with force by the United States. However, other top-ranking State Department officials take issue with that interpretation. They believe that Glaspie gave exactly the message she was supposed to, based on long-standing U.S. policy, and that there was no misunderstanding as Saddam knew exactly where the U.S. stood. Moreover, Joseph Wilson, who served as Ambassador Glaspie’s Deputy Chief of Mission at Embassy Baghdad, asserts that the real wrong message was sent during a public Congressional hearing on Iraq, in which Assistant Secretary for Near Eastern Affairs John Kelly was put in the awkward position of having to confirm that the U.S. had no obligation of defending Kuwait from an attack. 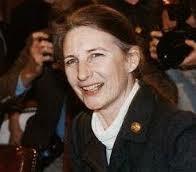 Wilson served at Embassy Baghdad from 1988-1991 and describes the meeting between her and Saddam Hussein on July 25th. Kelly, for his part, believes that Saddam was emboldened by his belief that the U.S. defeat in Vietnam would prevent it from taking action in Kuwait. You can read Ambassador Wilson’s account of the evacuation of Embassy Kuwait and freeing American hostages. Read about how Ambassador Hume Horan was hung out to dry after delivering a demarche the Saudis did not appreciate. Go here for other Moments on Iraq and the Middle East. Just before the meeting began, Saddam was called out of his office to take a phone call from [Egyptian] President [Hosni] Mubarak. He took the phone call from Mubarak, and then came out and told April — I wasn’t there; this is how it was reported back to me — that he had just told Mubarak that there would be no military action as long as the diplomatic process was ongoing. That was July 25th or 26th. All the Arabs were telling us this was a bluff. Saddam had told both us and Mubarak on the same day at essentially the same time that he wasn’t going to take military action. The Arabs were telling us not to do anything. We were getting nervous. We cabled Washington to ask for another presidential letter to Saddam requesting him to lower the tension level. During the course of the meeting I just mentioned, of course, April Glaspie told Saddam what American policy had been vis-à-vis the Arab borders since the beginning of the division of the Arab region into the nation states, i.e., that the United States doesn’t take a position on the merits of a particular border dispute but wants only that such disputes be resolved diplomatically or through international arbitration. That had been the U.S. position; it had been the Western position, and it had been most everybody’s position since the beginning. Glaspie has often been criticized afterwards for not having given Saddam the “stop sign.” The Iraqis, in the person of [Foreign Minister] Tariq Aziz, would tell you, and have done so publicly, that they didn’t call April Glaspie in to ask for a green, yellow or red light; they were not looking for that and that they understood perfectly what she was saying because that had been American policy. They took their decision based upon the failure of negotiations and not on the U.S. position. 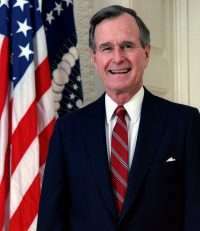 At the same time, we received President [George H.W.] Bush’s letter to give to Saddam which she delivered. The next day or a couple of days later, John Kelly, the Assistant Secretary of State for the Near East, appears before the House International Relations Committee. I think it was the whole Committee — not a subcommittee — because the session was chaired by [R-Ind] Lee Hamilton and it was a public session. It was the wrong question to ask in public session, very clearly. For those who point fingers at who lost Kuwait, to me that was the defining moment because the U.S. Congress forced the U.S. Executive Branch to say that we have no legal obligation to come to the defense of Kuwait in the event of an invasion by Iraq. That was far more than anything that April Glaspie might said in her meeting with Saddam Hussein. As I have told people in the Bush I administration later, “What would you have had her say? We’re going to bring the B-52s over and bomb you back to the stone age if you invade Kuwait.” That clearly would have exceeded her instructions if she had gone any further than she actually went. Then Kelly testifies. His testimony goes all over the world at sort of lickety-split speed. April by this time has left Baghdad. She left the day after she met with Saddam on a long-planned leave which included home leave, medical leave for both her and her aged mother who was living with her at the time as well as consultations in Washington. This was consistent with what other diplomatic missions were doing. Most ambassadors were out of town during the months of July and August, and indeed at the time of the invasion of Kuwait almost all of them were out of town. Tariq, who for perhaps the only time during the whole time I knew him, was less than fully eloquent; he seemed a bit confused and appeared to me to be improvising He replied that Saddam’s commitment to April Glaspie was that the Iraqis would not take military action so long as there was a negotiating process ongoing, and that, since, the negotiations had failed in Tayib, the military option was open to the Iraqis. I replied to Tariq that he knew better than I that one failed negotiating session does not a failed process make. He knew that very well because there had been in a series of failed negotiating sessions since the conclusion of the Iran-Iraq War and the implementation of [UN] Security Council Resolution 598, which was the governing resolution to bring about the cease-fire in the Iran-Iraq War. They should not have concluded from a failed session in Tayib that the process itself had failed. Then I said to him that, insofar as we now had Iraqi troops surrounding our embassy in Kuwait City and throughout Kuwait and we had the U.S. Navy, which was still patrolling the Persian Gulf guaranteeing some sort of security in the Gulf for tankers navigating those waters, that it behooved us both to insure that we did everything in our power to minimize the potential for accidents between our forces in the region. I suggested that one of the ways we could do that would be to have direct contact between our respective embassies and our respective capitals. I asked him to restore my direct line from the embassy compound to Washington. Much to surprise, in about three hours they had done it. In life one takes the minor victories when one can get them. So within three hours we had our telephones up and running again. From the very beginning it was pretty clear that the goal was to scapegoat April Glaspie on the grounds that perhaps she had given Saddam a green light or a yellow light or what she had said to Saddam had been interpreted as a green light or a yellow light. There were a couple things that might have given rise to this view. Her cable of her meeting with Saddam reflected far more of what Saddam said to her than what she said to Saddam. That is normal; that is the way you report meetings. 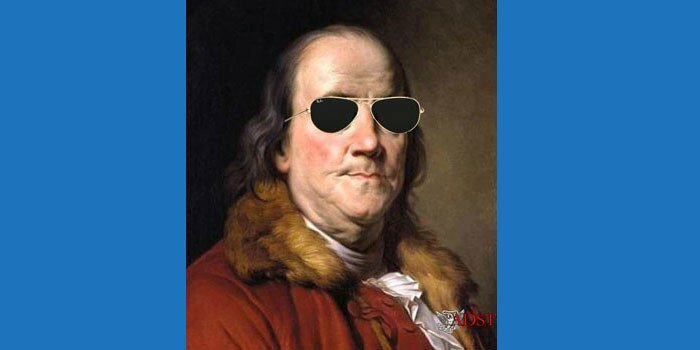 It’s more important to Washington to know what the other person says than what you say, because it is assumed that you are going to be faithful in following your instructions. As I said earlier, in her case she didn’t have any instructions, but U.S. policy towards intra-Arab border disputes from time immemorial has been that “we do not take a position on the validity of either side’s claim, but what we do want is that these disputes be adjudicated through diplomatic negotiations or through an international legal system.” That is what she had repeated to Saddam. That was the U.S. position then; it was the U.S. position before; it was the U.S. position afterwards. Even Tariq Aziz, in perhaps one of his few truthful statements, has said that Saddam was not looking for a green light, red light or yellow light; he didn’t expect that from April Glaspie, and that that had not been the purpose of the meeting. I’ve never talked to [Secretary of State] Jim Baker about it. I’ve talked to [Under Secretary of State for Political Affairs] Bob Kimmit about it. I think that you can make the case that at a time when you are attempting to exercise global leadership and build an international coalition, you cannot allow yourself to be bogged down in the ‘who lost Kuwait’ debate. In the Congressional inquiry, in the press questions as to who lost Kuwait it would have made sense not to spend all your time defending April Glaspie. Every time you say something in defense of April Glaspie, you invite the next set of questions. At the end of the day an ambassador gets paid big bucks to take some particular heat. I’m not sure that that’s what happened, but if I were Jim Baker, that’s the way I would explain it. KELLY: April Glaspie left Baghdad the day before the invasion. I was aware of her leave plans; she, as all ambassadors, had requested Departmental permission to be absent from post. That she had done in the Spring. Glaspie had with her in Baghdad, her mother who had lived with her many, many years. She was bringing her mother to Europe for some medical attention. So there was a very valid reason for April to leave Baghdad. After her meeting with Saddam just a few days before the invasion, Glaspie reported on it; she mentioned that she had advised Saddam that she was going away for a brief period, but asked him whether she should cancel her plans. He told her to proceed and go to see President Bush to report orally what Saddam had said. In a separate cable, she told us that Saddam said that she should go on vacation, but asked for confirmation by the Department. I decided to let her go, after weighing all the pros and cons, because I knew of the mother’s condition and furthermore I did not think that Glaspie’s whereabouts would make much difference to Saddam’s plans. I don’t believe that Glaspie had any effect on Saddam’s decisions nor that any ambassador might have. We might have had an impact on Saddam if we in Washington had been more forceful and shriller, both in private and in public. No one should hold Glaspie responsible for Saddam’s invasion of Kuwait; she could not have made a difference. By the time Glaspie met with Saddam, I believe that he had already made his decisions; I suspect that he had calculated that the U.S. would not interfere — we would not risk the loss of American lives, after Vietnam, over a little piece of territory called Kuwait. 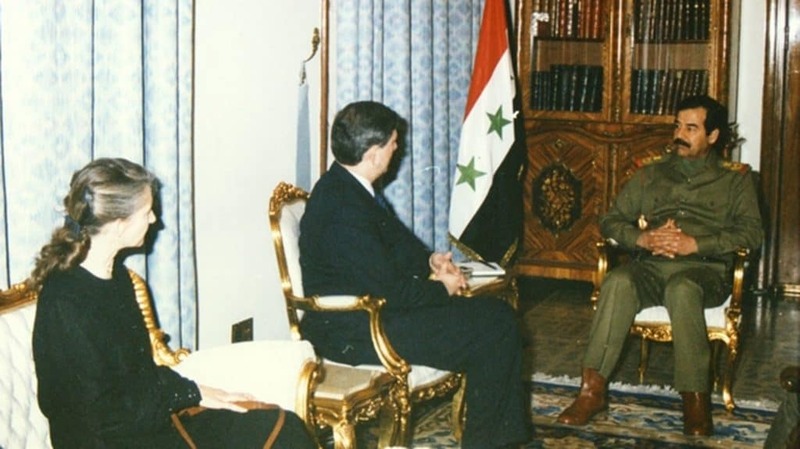 It is likely that Saddam thought he could reach a deal with us after he had taken Kuwait; in fact, after their conquest, they did make overtures to us. They promised to give us a privileged position on energy exploitation in Kuwait in exchange for acceptance of the status quo. It has also been said — although I can not vouch for the accuracy of the comments — that Saddam had drawn a number of lessons from our experience in Vietnam: we would either not intervene or if we did we would so with inadequate forces which after getting a bloody nose, would be withdrawn in a hurry. It is a fact that Iraq had imported thousands of Vietnamese laborers to assist in their construction programs — dams, roads, etc. 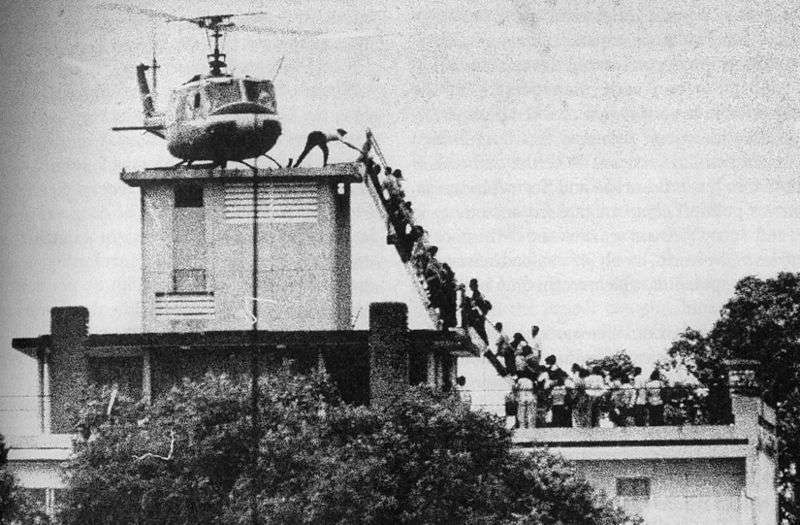 It has been reported that once Saddam visited a dam site and saw all these Vietnamese in rags carrying buckets of dirt; he allegedly exclaimed that it was almost inconceivable that these people had defeated the Americans, but that they had really done so. That perception may have also skewed his view of the world; he obviously underestimated our determination and our staying power.